on a routine flight over the Bay of Bengal, authorities are no wiser as to the aircraft's fate, Indian officials say. 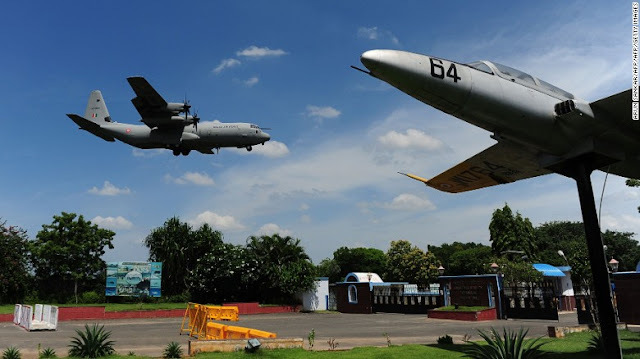 The Indian Air Force Antonov AN-32 transport plane carrying 29 people took off from the southern Indian city of Chennai at 8:30 a.m. on July 22 for a three-hour flight to Port Blair, in India's Andaman and Nicobar Islands. But 42 minutes after takeoff, the aircraft tilted to the left, descended swiftly from its cruising height of 23,000 feet and vanished from radar, Indian Defense Minister Manohar Parrikar told the country's upper house of parliament in Delhi last month. The missing plane took off from Chennai and was scheduled to land at Port Blair. "There is no SOS... no transmission on any frequency," he said. Minutes before the disappearance, the pilot had said he was deviating to the right to avoid a heavy raincloud, said Parrikar. At the time it vanished, it was only about 8-10 minutes from reaching the limits of radar coverage in the region. Port Blair is the capital of the Andaman and Nicobar Islands, an Indian territory consisting of more than 500 islands -- only three dozen of which are inhabited -- in the Indian Ocean, about 1,370 kilometers (851 miles) east of Chennai. 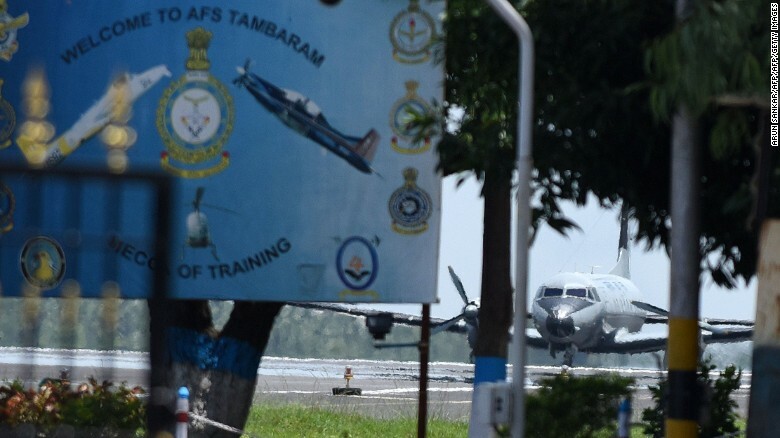 An Indian Air Force plane prepares to take off in the search for the missing AN-32. Since then, search teams have scoured the vast search area for signs of the missing plane, or signals from its emergency locator transmitters, to no avail. 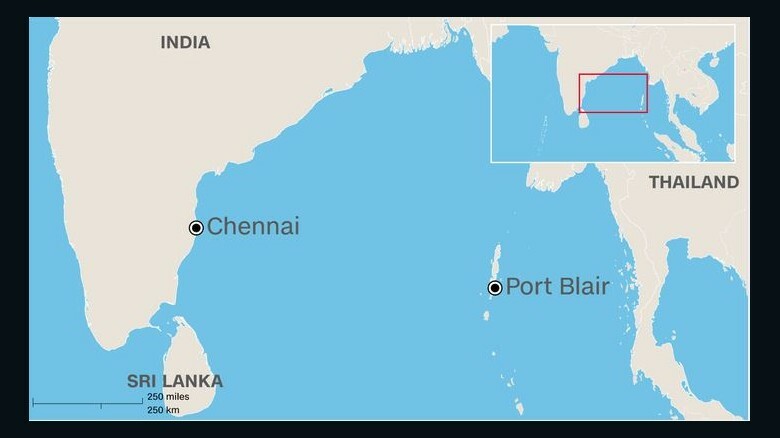 The plane was equipped with two emergency locator transmitters, but -- like all the Indian Air Force's AN-32 fleet -- it did not have an underwater locator system, making the work of search teams more difficult, CNN affiliate News 18 reported. 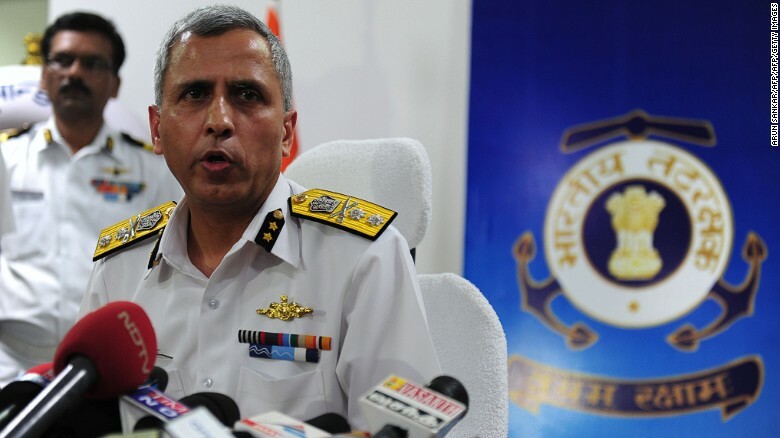 Indian Air Force spokesman Anupam Banerjee said that more than 1,000 hours had been flown searching for the missing aircraft, while Indian Navy spokesman DK Sharma told CNN that five ships and several Navy aircraft remained engaged in the search. Inspector General Rajan Bargotra of the Indian Coast Guard briefs reporters on the search efforts. The vessels, said Parrikar, include a survey ship using sonar to scan the ocean floor -- four kilometers deep in places -- and a submarine. But searchers still had "no clues whatsoever" on the plane's whereabouts, said Sharma. Crews have recorded dozens of sightings of debris, but frustratingly, none that comes from the missing aircraft. The plane was one of the Indian Air Force's fleet of about 100 Antonov AN-32s -- a twin-engine military transport aircraft. The missing AN-32 flew the same route, to Port Blair and back, three times a week for years, and the pilot behind the controls had put in about 500 hours on the route, said Parrikar. 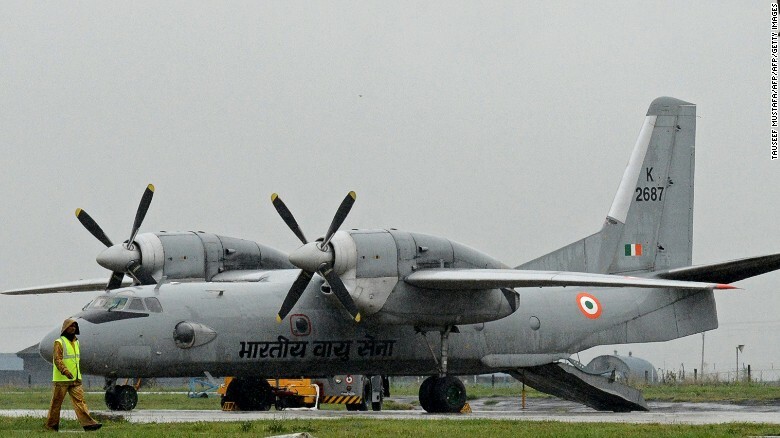 The Indian Air Force has been modernizing its AN-32 fleet, and the missing plane had undergone an overhaul to replace its equipment. But it had flown about 270 hours since the upgrade, he said. "It's not that something new was changed, and (the crash) happened the next day," he said. An Indian Air Force Antonov An-32 transport plane -- the same aircraft that is missing -- at an air base in Srinagar in 2014. While the cause of the plane's disappearance remains unknown, the plane had suffered three technical issues in the weeks preceding the crash, CNN affiliate News 18 reported, making a technical failure the most likely scenario. Defense Ministry spokesman Nitin Wakankar said there was no reason to suspect terrorism was a cause.